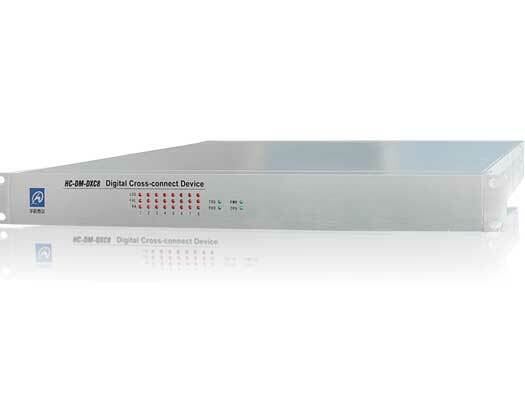 Huachentel’s HC-DM-DXC4/8/16 digital cross-connect device DXC allow maximum flexibility for time-slot crossing. The connection matrix connects any incoming 64Kbps timeslot to any outgoing 64Kbps timeslot. HC-DM-DXC4/8/16 can be used in the application like drop-and-insert, distribution and collection. The main applications are found in the local switching of Nx64k leased line connections, and the concentration of Nx64k services onto 2 Mbps E1 circuits. This solution is particularly useful for smaller concentration points where the investment in backbone switching equipment might be too high.